The widely publicised 3 year drought that struck Cape Town is now officially over. Much needed winter rains averted a crisis as the city narrowly avoided running out of water earlier this year. Dam levels dropped below 20 percent at one stage but are now back up to 75 percent. Water restrictions have been relaxed and are expected to drop to level 4 soon. Between February and the end of September, when level 6 water restrictions were in place, the daily consumption target was set at 450 million litres. Consumption hovered around 520 million litres a day during this period and are now up to nearly 600 million litres a day after restrictions were recently eased by the city’s administration. City of Cape Town Deputy Mayor Ian Neilson said that local government don’t see the complete lifting of water restrictions at this stage though the dam levels are back to about what they were in 2015. “If Capetonians could hover around the 600 million litres a day level, there would still be enough water to see residents through the summer to the next winter rainfall season,” Neilson said. Nevertheless, the city’s impressive conservation drive resulted in a 50 percent reduction in Cape Town’s water consumption and set a new model for other cities that might face droughts as the planet’s climate continues to change. The worldwide publicity about the drought scared away plenty of tourists. This posed a separate challenge for Cape Town as tourism accounts for 7.5 percent of its total economic output. Nearly 1.3 million visitors come to Cape Town annually, spending more than R 40 billion (approx. USD 2.8 billion). The main motivation behind the drop in tourist numbers is because many of us believe it would be better if there were fewer people consuming water in Cape Town. At this point, however, the opposite is true. 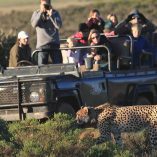 The city and its surrounding winelands and coastal regions need tourism for its economic well-being. The tourism industry actively found ways to save water. Most hotels installed low-flow shower heads and removed bathtub plugs to encourage showers. 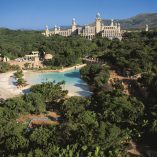 Hotels and guest houses even planted new gardens with species that need less water. The Westin in Cape Town took it a step further and built a desalination plant to convert sea water to freshwater for drinking. 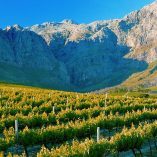 We recently embarked on two separate inspection visits to both the city of Cape Town and the Winelands surrounding Stellenbosch and Paarl. We were very pleased to see that the fields, parks and golf courses of the area returned to their former lush and green state (see photo below). 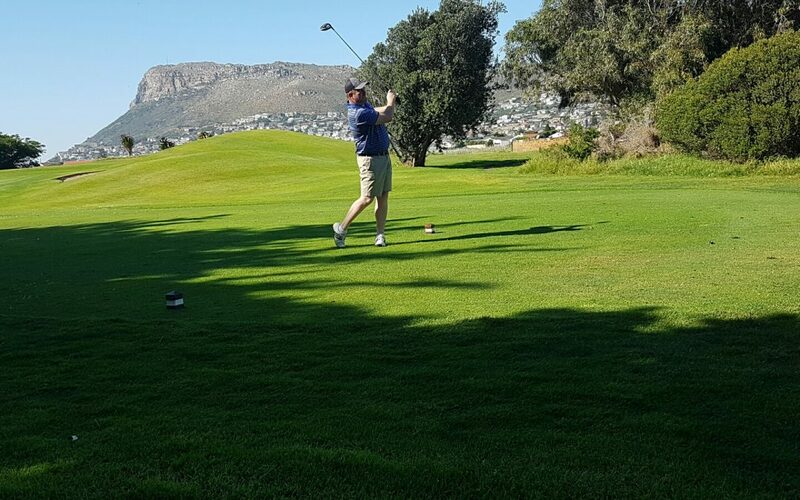 We played rounds at Somerset West and Clovelly golf courses, located some 50km apart from each other. Though my scores weren’t much to brag about, both courses were in near perfect condition. At both courses there were areas where golf carts are restricted due to wet patches caused by recent downpours. 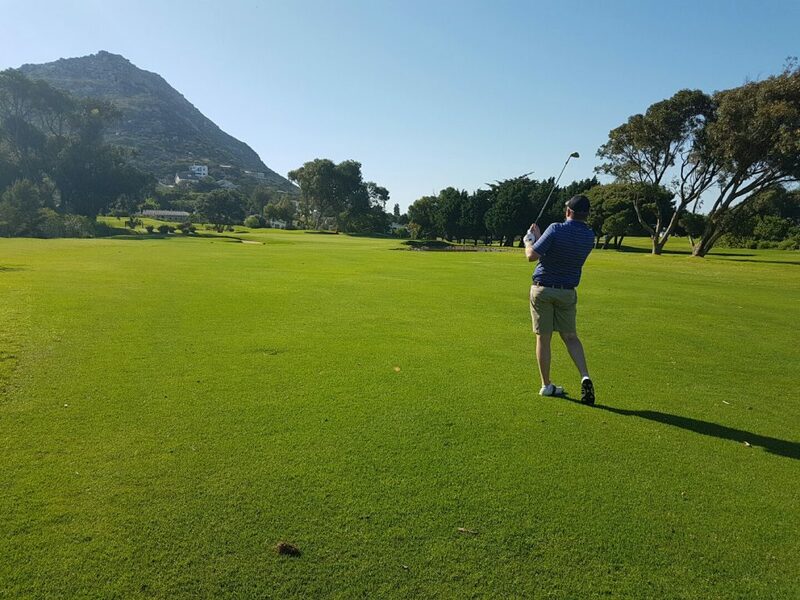 We also paid visits to Steenberg, Westlake and De Zalze golf courses and could clearly see how well the courses recovered greatly thanks to the record rain season during the winter and the incredible efforts on the part of the green keeping staff. Even though September and October aren’t exactly peak season, we did notice fewer overseas visitors at the courses and main tourist attractions than one have grown accustomed to in previous years. The good news is that the drop in tourist numbers resulted in great summer deals currently on offer in a drive to normalise the industry. We’ve launched a newsletter campaign introducing some awesome last minute deals for December, which we are happy to extend to January and February. Have a look below and contact us if you would like to book any of these deals. 6 nights Cape Town Golf Break from only R 9 900 per person sharing. Self drive with accommodation at Best Western Cape Suites Hotel and golf at Royal Cape, Clovelly and Steenberg. 6 nights Winelands Golf and Wine Holiday from only R 11 000 per person sharing. 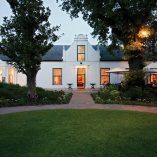 Self drive with accommodation at Stellenbosch Hotel and golf at De Zalze, Stellenbosch and Paarl GC. Add a 5 night extension to your holiday by including a stay at the internationally acclaimed Fancourt Golf Resort, located in the breathtaking Garden Route region of the Western Cape – a short 50 minute flight from Cape Town. 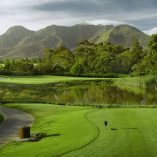 5 nights Fancourt Resort Stay & Play from only R 15 500 per person sharing. Luxury 5 star accommodation with airport transfers, a round at Fancourt Links and 2 rounds at both Fancourt Montagu and Fancourt Outeniqua included.